Getting involved with Free Software is not just for technical people and programmers. 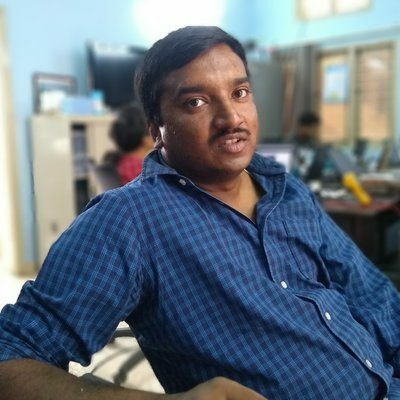 For more than 20 years now, Fred, a journalist based in Goa, has been writing about Free Software, about people involved with free software and enabling people to discover and connect with each other. His writing, support and encouragement has helped many community members and helped get a spotlight on their work and contributions. 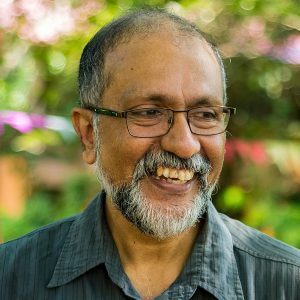 In this episode, Frederick Noronha walks us through the history of the free software community in India, his perspectives on sharing knowledge, how he got involved, why he cares and what we can all do to help. Frederick Noronha is an independent journalist based in Saligão in the Bardez taluka of Goa. He is active in cyberspace and involved with e-ventures involving Goa, developmental concerns and free software. He writes mostly on free software / open source software issues, technology, and computing issues in India. Hi Fred, so we doing a recording for the Free Talk Show – a talk show that talks to people who care about software freedom. And to start with I wanted to ask you – how did you get involved with free software and what does software freedom mean to you? You know, Abhas, when… this is like late, mid-90s — see I have been a journalist all my life and I understand how crucial information is and how crucial the flow of information is. And how dastardly blocks on information can be. So this idea of free software was something that caught my mind in the early to mid-nineties. I am not a techie; even today, I can not install a single [GNU/] Linux distro. But the moment I saw it, I said “wow, what a great idea of making software sharable!”. I think knowledge should be sharable; software should be sharable; seeds should be sharable; books should be sharable – even as a journalist, our work should be sharable. We all need to live – so, maybe, I have to sell it the first time. But then I should negotiate with the publishers (or whoever) to put out there, and it is possible to do it. I have been sharing all my work and it has helped me so much, by sharing. Although, it may seem ironical. I say that what I have given into sharing is 1/100th of what I have received! So for me sharing is terribly important. I understood the implications of sharing software immediately but I was not in a position to implement it even by way of setting up my own computer at home — which my friends did for me and I am happy to say that since 1999 or 2000 I have been GNU/Linux – one brand or the other – without loosing a single byte of data. [I am] very happy about using it; hopefully contributing back to the community, doing what I enjoy, writing about nice people, writing about positive stories… how young Indians (mostly young) and mostly guys, unfortunately not enough women, are contributing to this world of software. You started by saying that you like that information is free and that is one of the things that brought you close to the free software movement. But not everyone thinks about it. People don’t [always] put in so much thought. So how do you think people can discover this value of free sharing of information (software is information in that sense) — how do people realise or arrive at this sort of clarity on their own — if they are not used to thinking about it or caring about it so much? You know, Abhas, I think we are brain-washed by the corporate and mainstream models of copyright, of wanting to protect, of wanting to cash in on our “intellectual products” that we “own”. That’s a big myth. All our knowledge is based on the backs of others. Nothing is original in that sense. If I can say something, I can speak in a language its because someone else has taught me to do it. And I have learnt from someone else. And the facts have collated from all over the place. And so I “grabbing it” and this whole myth of the “sole inventor”, the “sole genius” – that is not really something I believe in. And the other argument, is that when you share its not that you are giving away something – your blood or your wealth or something which you are going to be deprived of. As the saying goes – two boys have a toy, they exchange their toys – each boy still has one toy each. Two boys have an idea, they exchange their ideas – each boy goes home with two ideas. So the wealth is growing, the knowledge is growing, the pool is growing. By sharing – you are not loosing anything – especially these “intellectual products”. See when it comes to hardware, when it comes to scarce resources – then maybe a different paradigm applies. When it comes to knowledge, software – all these kind of things – there is no scarcity really. And I think free software is quite a miracle — if I can use religious terms, I’m not religious, but — its quite a miracle that people like Stallman and people who followed him have managed to work it out and built something that is better than the “real thing”. Incidentally, I have a small joke. In the Bible, the first free software miracle is there. When Christ goes and converts two bread and five fish (or whatever it is, I don’t know the exact number) into enough food to feel the multitude – there is a free software explanation for that – a simple, logical, rational explanation. There were these guys who were hoarding their food. And then they saw some of them taking it out of their pocket. So when someone starts sharing, then everyone starts sharing. And this is not an intellectual, ideological, intangible product – it is something very tangible. So everyone starts sharing and they end up with basket loads of extra food! In those days its explained as a miracle. But there is a free software rational explanation to what could have happened. That apart, can we repeat these ways of doing things in a country like ours’ which needs it so badly and many parts of the world still need – there is scarcity all around, people don’t have enough – so can we be more liberal in sharing and everyone gains. So there is this ideological perspective to free software and there is a technological perspective. In my perspective, ideology drives what technology you use. But some people also come at it the other way. They start with technology and then they discover the ideology. So you started from the ideological perspective — am I right? To be very honest, in the seventies, there was a lot of student ferment. So we are a part of that. In our younger days, even now, we look at the politics of every situation. I would be naturally be more convinced by something political, by something ideological – though the fact is – I am not a techie. Most Indian techies are not very political and they don’t like discuss politics. Except now its seems to be changing. There are many people in the Aadhaar campaign protesting about this 12-digit identification number and the privacy issues around it. Many of them are free software or open source guys. So they are getting political. But – in India – the thing is not to see the politics of technology. Whereas, the full free software movement – Stallman and the famous printer getting stuck and all – it tell you that people there are really thinking about what is the politics of technology. And I don’t think we can ignore the politics of it at all because it is getting so more powerful – even the people we vote for and how elections are manipulated by way of facebook and cambridge analytica — it shows you that technology is not neutral. You may think it is neutral but it can not be – it has a very political role – so you’d better understand that role before it subsumes and overtakes you. There is this classic quote attributed to Stallman saying that “Value your freedom or you will loose it teaches history. Don’t bother us with politics say those who don’t want to learn”. Okay – so lets reflect back to the early stages of the free software movement in India. You were actively trying to connect people and share information; support people to keep doing what they were doing. Give us an idea of what it was like at that time? What was your perspective of what drove people to do the things they were doing? 1999 to 2003/4 – that time. I got involved around 98/99 – it took me 1 or 2 years to actually start getting to use [GNU/] Linux and all the members of my group would laugh at me and say when are you getting started. But once I got started I was fully committed to it – the idea as well as the product, the technology and everything. It was amazing to see all these young bright sparks from different parts of the country doing all kinds of things – and I am sure they are there even now also. Except that for personal and other reasons, I got sidetracked into my own book publishing project and which took a decade of time… but now I am back on the scene. So in that sense it was amazing to see all these guys doing amazing things. And the mood was so upbeat but sometimes I feel that we as media don’t do enough to reflect these stories. We don’t go out there, search for these persons, talk to them, find them, write about them. One of the techies was complaining today morning about how the media operates imagining that they don’t exist and as if they’re not doing anything. And in today’s world if you’re not written about, if you’re not noticed, you’re as good as dead in that sense. So we are doing this great injustice to these people who are trying so much. The example of yesterday [when] during our session this young boy stood up and spoke about amazing work he had done and how he was not earning anything from it and it was very difficult. Some one else came around gave him a twenty-thousand rupees a month scholarship for one full year. The optimism was one [thing] that struck me. The ability of Indians to do it was another. And I always call myself a mix of a spammer and a postman because, in those days and now, I love sharing information. So if its in me, information wants to be free. Having the news with you is not enough. Being an alternative journalist, someone who has been freelancing for a long long time, I’d find channels to push it out and the mailing lists were targets. And some of these guys used to get pissed off with me saying that “you’re posting too much”, “just stop” and “do it less” and things like that. But anyway, it was fun. And the mere fact of passing the word around, being a postman, helped me so much because other people would give me stories and I got quite an insight into this work. So at one stage I managed to convince this NGO called Sarai.net to start to this small, mini fellowship scheme for students to create and donate their free software. And then, it was my dream to write a book about the contours of the free software movement in India — I’ve not done it. Maybe, Inshallah, one day I will do it. It was great fun. We made a lot of friends, learnt a lot of technology. I always boast till today – I say that my claim to fame is that I have got a two letter twitter name which is just @fn. I got it because of interacting with 21-year-olds and listening to you all … and you know, the Indian techie is not the kind of guy who is very expressive. He knows his technology very well – he will talk, he will discuss, he will argue – but he will not write it down. He can not explain himself too well – he needs an intermediary / an infomediary in that sense – unfortunately. But they know their technology well. So one day one guy told me – try this thing, its called twitter and I said “what’s it?”. That concept of micro-blogging – we didn’t understand it then and wikipedia was just getting started. So I said – okay lets try it: username – fn. I got it. So I must be of the 600 or 800 people in the world who have 2 letter twitter usernames. I joking say that I learnt a lot but I did gain by rubbing shoulders with all these guys. Today I miss the 21-year-olds. I tried to build back the community in Goa – we are just reviving our Free Software User’s Group. I think individuals bring about change and we had some interesting guys. Atul Chitnis, God bless his soul – he died very early from cancer. No doubt he was a very difficult guy to work with at times but very driven, very passionate about what he believed in. He and people in Delhi – Gopi (Garge) from ERNET and Raju Mathur and Kishore Bhargav – they had things very clear in front of them. They told us two things: (1) setup a user group – call it with a standard name – so across India we started calling ourselves then ILUG-city-name. So ours was ILUG-Goa. and (2) setup a mailing list and communicate among yourselves. Link up at a national level – so when we are having an event in Bangalore, we will invite you – we will help you to find some inexpensive hostel to stay in. So the community spirit was very strong then. I think we made one or two mistakes – along the way, some people, some of us got caught up in our things. We also started arguing that there was no need for teaching newbies, evangelising – because enough people supposedly knew Linux. But when you loose out on the community spirit, it is a kind of a drawback and shortcoming to growth. So that is what hit us. So [for] any community – there has to be something that binds them together. The way I look at it – earlier it was difficult to use GNU/Linux – so the function of an ILUG was “problem-solving”. You want to get your graphics card to work, getting a sound card working… you need some help with software, you go to your ILUG – you can get installation help, driver help, you can get started with things. Then, things became very easy. Now, you didn’t need this ecosystem to depend on to solve your problems. Internet could solve your problems. So many problems didn’t need solving anymore. Ubuntu was very popular. So what I’m trying to say is that there has to be something that binds that community. Maybe – is that the reason you think some communities died out? No – I wouldn’t think of that. For example, supposing we are going for a party. What is the reason we go for a party? We go for fellowship, we go to meet each other, to talk, to enjoy ourselves, to share opinions, maybe to have a drink, whatever it is. You don’t need a real purpose if you’re friends, if you share values to be together. I think the user groups really brought us together. We became like a brotherhood – unfortunately not enough gender diversity in it – which was a problem. But the kind of friends that it made us, the kind of interactions we had, the kind of people we got to know — that is lacking today. So without infusing too much external energy, how do you think such user groups can self-organise again? Its distributed, so there is no question of a top-down approach – that’ll not work. In each group, you need one or two or three persons – even one would be enough – who understand the importance of networking and keeping people in touch, sharing useful information. Because if we fall down into a “what’s in it for me” approach, then your surpluses are never going to come about – you are not going to be able to share, to give, to benefit – which we were doing in those days. We may not need CDs today, but there is always something we need – some information, some link, some tips, a good word. Why do we wish people “good morning” when we meet them on the street? It is not going to really change the quality of their morning. Or it is not going to confirm the quality of ours’. But human beings being social animals, we need it. And social committees are networked this way. After learning from the tech community, about these networks which were mainly email-based mailing lists then, we applied it to a whole lot of social networks. So we have GoaNet – which is going to complete 25 years next year – which has been applying the tech philosophy to the social world – just to network. And from that spins off other projects, other initiatives, other ideas. I share my news with someone, someone would give me some freelancing work. Its not a “quid pro quo” – but it is like I help you, you’ve been good enough to help me and I’ll help you back. And its amazing the way it works. And the tech communities were the guys who started all this. It was never kind of social community thing. On a separate note, I wanted to touch upon another aspect. Today there are far greater threats to our technological freedom, software freedom. And also because software is everywhere. You have software in every type of device and hence, unless we choose our hardware carefully, we will run out of places to run free software on. What’s your perspective on that and how do you think that connects with the community at large? So the threats are greater, we’re trying to build the community again – how do we fight this new battle of proprietary software? To be very honest, I don’t see myself as being competent to talk about this aspect because I am not a techie, as I keep saying. I do appreciate the kind of energy the techies are putting in at the pan India level also – now more than ever before – more technical, more political, more capable of understanding these issues. So that way there is a lot happening. But as you are saying, I fully agree with you – every six months, every three months some shocking tech related dystopian scenario emerges where it becomes so clear about what’s going on. So do you think it will take a catastrophe to, sort of, wake us up and become sensitive to these issues? See, again, if you look at it in those days, how did free software start? Okay – it was one man who started. So committed, so convinced that what he was saying was important. And people saw RMS as a maverick, as a kind of guy who is out of touch with reality. But history has proved him right. You might call this simplistic again, but I have great faith in poetic justice and the ability of the world to sort itself out in most cases. So here also I am looking at that more people who realize the dangers then get taken along with it and you don’t need large masses to make this point. I’m saying that Julian Assange is paying the price. So are the other whistleblowers and people who spoke out. But they are there and they have stood on and they have held out. They are the guys who inspire a whole generation more. What advice would you give, say, a student so that they can educate themselves about these ideological concepts and put in some effort to build their own awareness and channelise that awareness into, say, technical work. The starting is “just get started”. Don’t worry about the big fears and the big challenges because then you might end up with the conclusion that I’m too small, I can’t fight them, might as well join them. So at least get started. Understand the issues. I think, for students, the biggest challenge is how to avoid all this, what we used to call in our days, FUD – fear, uncertainty and danger. The FUD factor that makes open source free software look unsustainable, undoable, uneconomical to run… You know in US they are asking, if you do free software, how do you pay your student loans? So probably, that’s the wrong question to start with in the beginning, to ask at all. Because the mainstream is telling you – “don’t do it; it’ll not work”. Experience is telling you, it has worked, it has worked amazingly well. If students can enter this field, if they can get started, the rest will take care of itself. Don’t worry about the long term. But what role models do they have? Suppose they look at someone in the community, they look at Snowden and, you mentioned whistleblowers, that is a very huge benchmark. Everyone can’t aspire to that, they don’t even need to aspire to that. What are those multiple levels of role models that students can have? So start small. That is why I say – for a country like India – it is crucial for us to document all these guys, to know what they are doing, to talk about them. Not people like me who are documenting the doers, but people who are actually doing. So, for example, I remember in our time there were all these young techies… there was this young Manipuri boy who had named his software after his girlfriend. And there was this Hindu priest from the US who was a Debian hacker in his 30s maybe. There all kinds of bizarre guys from all over the place. And I recently came across Krishakant [Mane] who has written this software, an accounting program called GNUKhata, who is visually challenged – in fact he is totally blind, he has zero eyesight and he’s done this program… and people haven’t even heard about them. There were case studies from across India, and I managed to do quite a lot of documenting in those days. I really feel like kicking myself for not sustaining it, but I hope to now again. And people don’t know that people in their own backyard are writing free software. Now for example, in Mumbai, Calibre, which is used widely all over the world to read e-books, to create e-books – very few people know that its a Made in India product! Even our friend Rushabh who runs erpNext. There are in my view, when I had counted, there were about 40 / 50 / 60 of these products all over the country. I remember writing this story once “India has just discovered its new GNU/Linux poster-boy and she’s a girl”. There was this kernel hacker who at one conference came and gave this keynote – Suparna from IBM – this was in the later years of Atul Chitnis’ program. And whatever she said went totally over our head – people like me didn’t understand a word about it, but she was apparently so good. The kind of work that was going on – each one doing a small project but when you add all these things together it became something really wonderous. And some of these projects are not really small. They are global projects, they are accepted worldwide – but these guys don’t get visibility in our own country. So that’s been a recurring theme and we’ve been discussing over the past day about how we can connect people — So lets say you have to layout an agenda — what can everyone do, what is the one thing that everyone can do that will help you do this job of chronicling it. Not me – I don’t want to put myself at the center. Two things – (1) One is that techies should write. Techies speak – and in India techies also don’t speak most of the time, they’re very quiet guys. The guys doing the real work will be very subdued. So they should speak, they should write, they should express themselves. (2) We need to build a team of youngsters across the country – there were people complaining today to the organisers of this event – no one approached us, we get boycotted, we get overlooked, the media doesn’t write about us. The thing is that every state in India is almost an ecosystem, a country in itself. You know what’s going on very well in Bangalore – but I wouldn’t know. I think we need to create this talent-pool. Even if you can create a sketch… […] So can we get them to document their experiences – and don’t wait for the so-called “professional” to come and to help you. Do it yourself. Start somewhere. So if you had to pose one question that everyone could answer in one page and that could be a good way to start writing, what would be that one question? 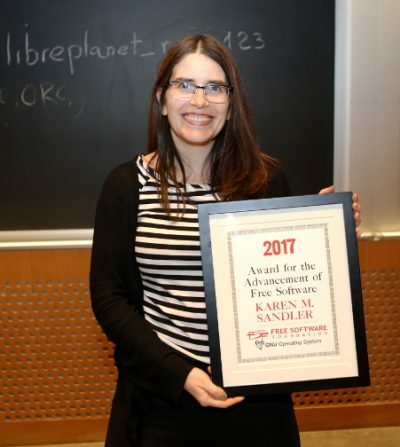 Maybe just one things is – what are your contributions to free software? Because people are contributing, they don’t say they are. So it looks like people are doing nothing. And then we come up with these ideas that we Indians are only suckers… we only take, we don’t give back. Its not true. The same motivations why people are contributing in the west in such large measures – they are contributing here as well. Maybe they are a little more resource strapped. They are increasingly getting out of it. But the motivations are the same. I mean, how do you do these huge projects, if you don’t have similar motivations? That’s a good occasion to say — What advice would you give to someone who’s committed to the ideology but finds it difficult to, sort of, hold onto it… because of societal, family, peer pressure. How do you think people can remain true to what they believe in — at varying levels? … and not give up? We were jokingly saying that the free software guys are the taliban of the open source free software continuum, in that sense. You have to be very ideologically rigid, in terms of your committent. Like you know, my role model is someone like RMS. And I buy the argument – so I would say that even if a product is worse – its not as good as a proprietary product – I would use the open source free software one, because its my committent to that community. And by using it, I am voting with every key / mouse stroke to make it one step better. So for example, for the books that we were publishing, we use only LyX, absolutely only LyX. And someone told me – he said you’re a commercial firm using LyX, and I said ya – we are commercial but we are small. But even then, he said, you might be the only firm in the world who’s using LyX to produce your books. And I told him, it doesn’t matter. Its world class – the neatness you get! The learning curve is there… no doubt, no denying it. But once you enter that, the kind of result you can get is amazing! The printers look at our books and say – “How neatly its produced”. So, well, my question was that – how does remain motivated? Being rigid is one part – what if you can’t be rigid? There are always practical, pragmatic aspects of your life which threaten your ideology. There is this Prof in Goa University, a friend of ours’, who’s son learnt free software open source and implemented it in the language lab there. He’s ideologically disposed to it. We need more people to support it. See – the ecosystem has to be built. And this was an issue that was understood 20 years back. But not so much now. You can’t have bits and pieces, islands of FLOSS and the expect it to work somehow. So we need numbers, we need critical mass, we need the ecosystem, we need everything together, we need the determination, the ideological committent but also the technological excellence — to show that this is what can be done. You show us what proprietary software has achieved for India — It has achieved large amount of software exports and big export earning, but we can also show you what FOSS has achieved. Which may not be quantifiable in money terms as yet … but you see it. I think that’s an excellent message. I am always open… I am big time spammer. So if you google for me and search for me, you will find my email addresses. Most of them work except the earliest ones… bytesforall doesn’t work. But fredericknoronha2@gmail.com. Catch me on twitter – just @fn. Very easy to remember. Experiment with it. Play around with it. This is not the end of the story, this is the beginning of the story. I think countries like India have a huge role to play in global computing; if we play our cards right. If we are not passive consumers. And you know this divide between consumer and producer – that’s what FOSS has often spoken about – we need to bridge it. Everyone should aim to be a producer of something. Not a consumer — that’s the easiest thing in the world to do. Excellent! Thank you so much, Fred!